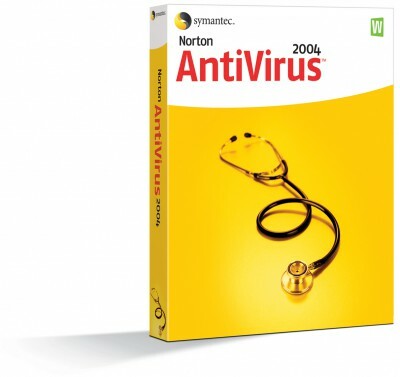 Norton AntiVirus 2004 free download. Symantec's Norton AntiVirus 2007 is the world�s most trusted antivirus solution. Symantec's Norton AntiVirus 2007 is the world�s most trusted antivirus solution. It removes viruses, worms, and Trojan horses automatically - without interrupting your work. New Norton Internet Worm Protection blocks certain more sophisticated worms (such as Blaster and Sasser) before they enter your computer. Norton AntiVirus can also detect spyware and other non-virus threats. Norton Internet Worm Protection stops certain damaging Internet worms at their attempted point of entry. QuickScan tool automatically searches for and removes viruses whenever new virus protection updates are downloaded. PreInstall Scan quickly detects and removes infections that can interfere with installing and launching Norton AntiVirus. Automatically removes viruses, worms, and Trojan horses. Blocks viruses in instant message attachments. Detects spyware and certain non-virus threats such as adware and keystroke logging programs. Downloads new virus protection updates automatically to protect against new threats. Worm Blocking and Script Blocking can detect new threats even before virus protection updates are created for them. Symantec's Norton AntiSpam 2005 will filter out unwanted email to make your online communications safer and more enjoyable. Symantec Norton Password Manager 2004 keeps your passwords secure and easy to manage. Symantec's pcAnywhere is the world's leading remote control solution.